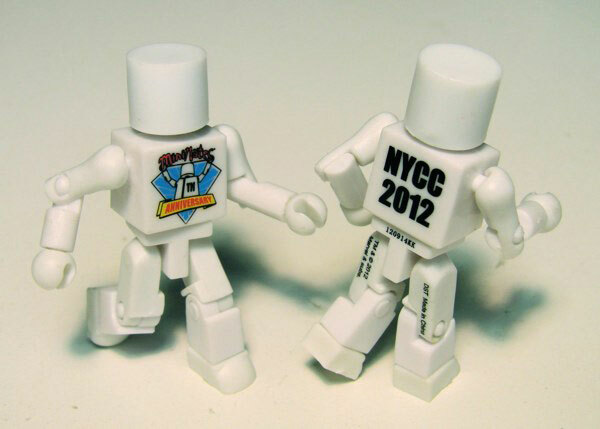 October 2012 - Minimates celebrated their 10th birthday with a bang, as over 100,000 fans attended this past weekend's New York Comic-Con, where the Minimates-related festivities were in full swing! 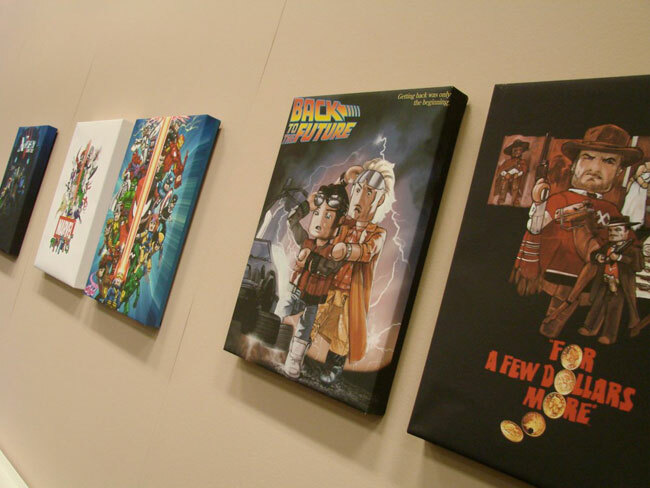 An art exhibit, panel and two signings drew thousands of attendees, from die-hard Minimate fanatics to casual enthusiasts, and thousands of Minimates, pins and posters were given out over the course of the weekend. 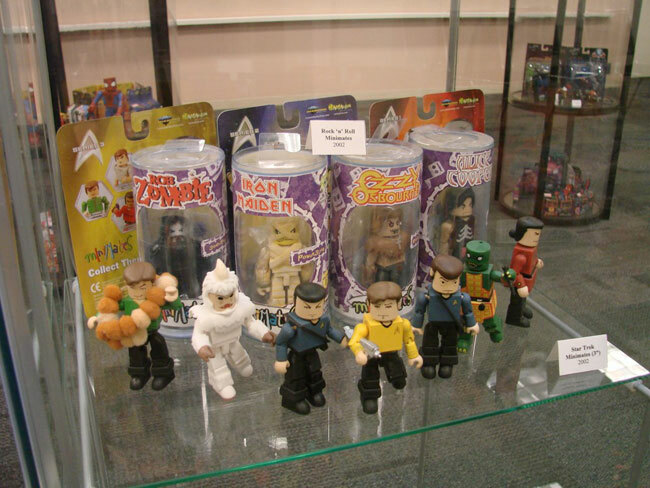 Manufacturer Diamond Select Toys also gave fans a glimpse at the future of the line! 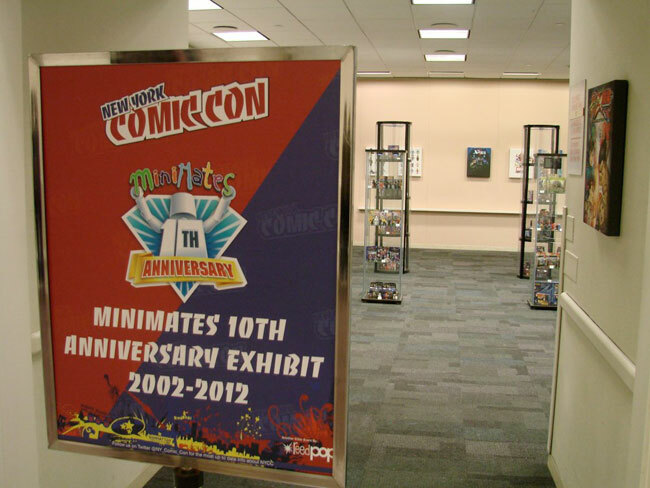 Located on the lower level at the Jacob Javits Center, the Minimates 10th Anniversary Exhibit had over 400 Minimates on display -- not even a third of the over 1400 Minimates that have been released over the years. 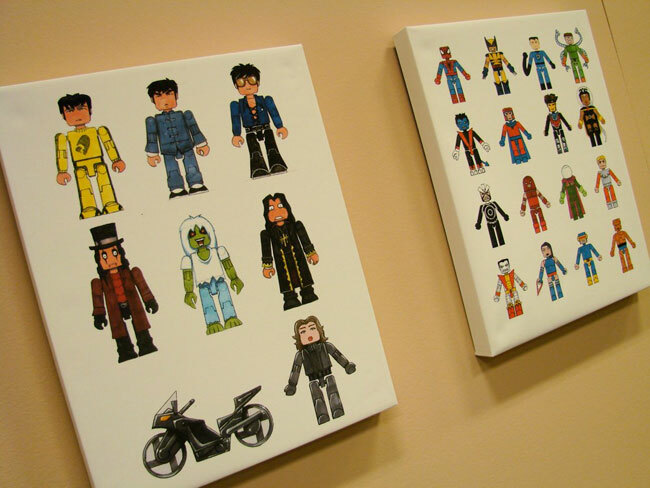 Marvel and DC Comics characters were displayed alongside Minimates from Star Trek, The Walking Dead, Ghostbusters and The Munsters, and the walls were hung with original concept art, as well as promotional posters from movie-based Minimates lines like Back to the Future and A Fistful of Dollars. The artists behind most of those posters, Minimates designers Uriel Caton and Barry Bradfield, were at the exhibit on Sunday to sign 500 Universal Monsters Minimates posters for exhibit attendees. 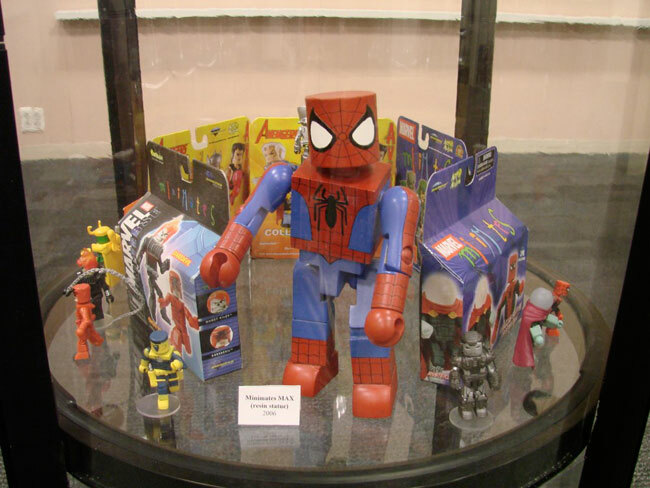 They were also joined by Minimates product manager Robert Yee for a panel presentation on Minimates, during which they revealed the control art for next year's 50th series of Marvel figures. The line-up for that series was voted on by over 10,000 Marvel.com visitors, and the release will coincide with the Marvel Minimates line's 10th anniversary. 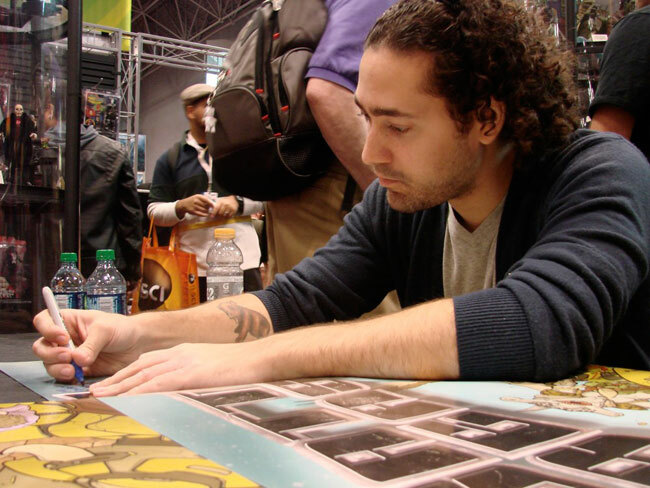 Another Minimates poster signing took place at the DST booth on Saturday with comic artist Ulises Farinas, to promote DST's upcoming Battle Beasts line of Minimates. Farinas is the cover artist for Battle Beasts from IDW Publishing, which is based on the toy line, and the entire first series of Minimates was on display at the DST booth for the first time. Booth visitors received a promotional 10th anniversary Minimate, and exhibit and panel attendees were given a free promo Minimate from the company archives. Tenth anniversary pins, programs and numerous posters were also given out all weekend. To see pictures from the event, check out our gallery below, and to learn more about Minimates visit Minimates.com!